Just one set of doors today along with several views of the facade of this beautiful building in Midtown Atlanta. While in Atlanta on business recently I spent the better part of a week admiring this beauty, right across from our hotel. Early one morning I noticed how the sun was coming up behind the building and the light reflected off the hotel tower windows was bouncing back creating ‘warm’ spots on the facade. The next morning I decided to grab my camera and go have a closer look. 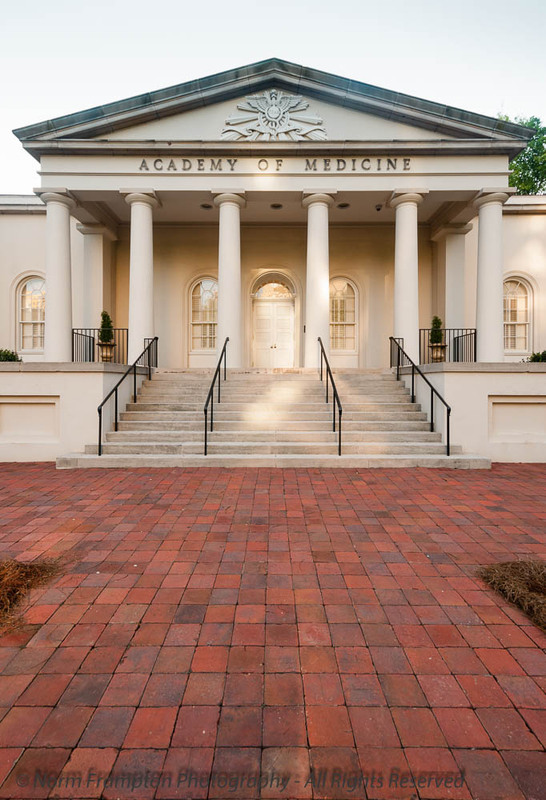 Built in 1941 as the permanent home for the Atlanta Medical Society the building is a textbook example of southern Neo-Classical architecture. Upon arriving at the hotel the first thought that came to mind when I noticed this gorgeous building across the street was the film Gone with the Wind – because it is just so ‘Southern’ looking. The medical society held regular meetings and events here for several decades, but by the late seventies due to a lack of use and maintenance, it had sadly fallen into a state of disrepair. Major repairs were undertaken in 1983 and further renovations were done in 2010. 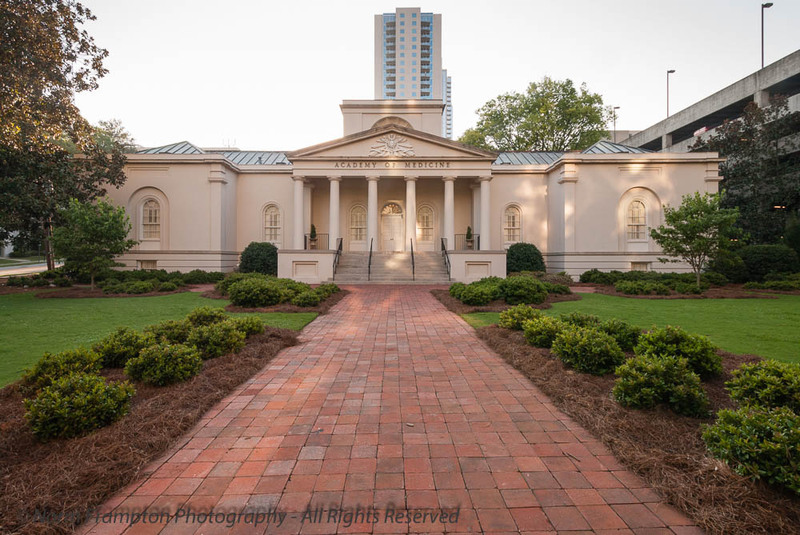 Today the non-profit organization Atlanta Medical Heritage Inc. is responsible for its upkeep and rents out the facility for a wide range of special and corporate events from weddings to business conferences. If you’re interested, you can read more about that here. Don’t forget that if you share your blog posts on Twitter and Instagram, use the #ThursdayDoors hashtag to help others find you, and please do take a few minutes to visit the Thursday Door posts shared by others. 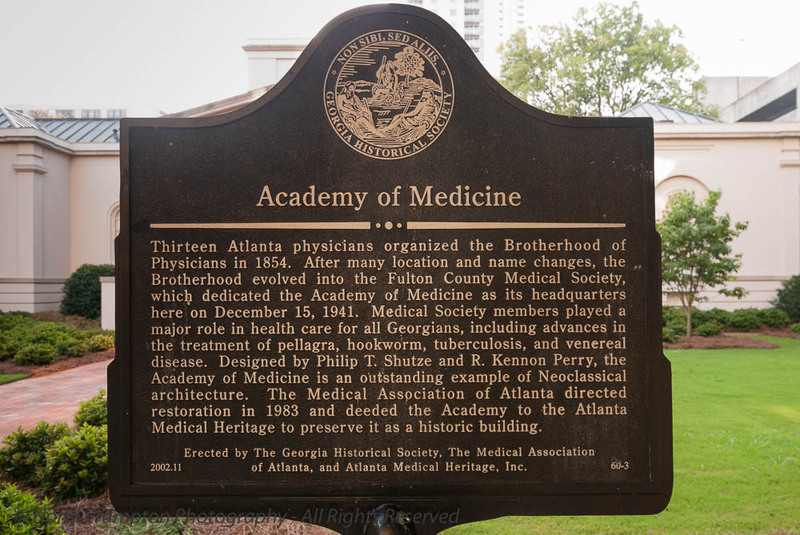 Gallery | This entry was posted in Photography, Thursday Doors and tagged Academy of Medicine, Atlanta, Doors, Historic Architecture, History, Thursday Doors, Tourism. Bookmark the permalink. Oh these are very pretty. All kidding aside as I get older I try to be more careful with my use of that word too. I used to be a real potty-mouth in my younger days. such a majestic building. so good that it was renovated to its full glory. Getting there, Norm. I had a set back, BP dropped (72/35) which meant they tipped table head down and now, bloody eye freaks me out but otherwise, will be fine. What an utterly beautiful building! Simply elegant. Love the light and the way it compliments the buildings in white. Oops.. ignore my pingback.. I posted in the frog link as well. Lost sight of what I came here to do, which was to comment on the red brick sidewalks which I love and have used in my walkways in my garden. They give a richness and warmth to these rather formal buildings. How lucky that you did not have to travel far from your hotel to find this gem. 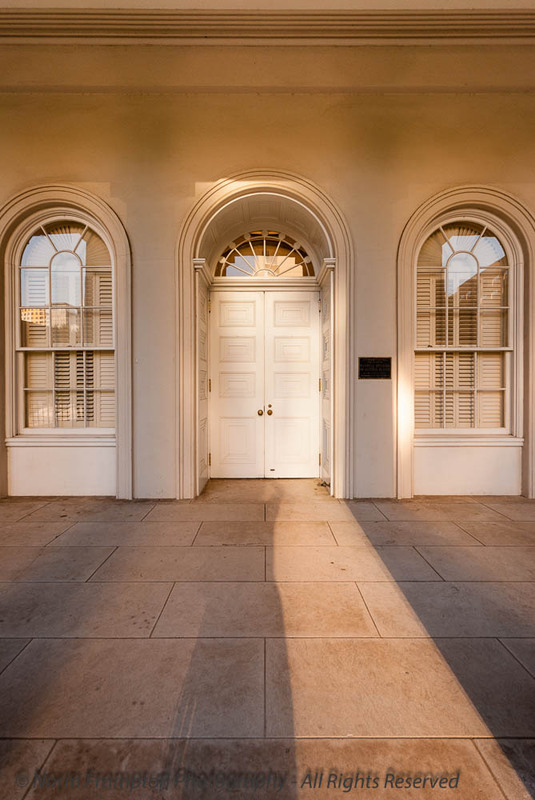 Nice shot of the door and windows and the neoclassical building! Indeed. It was right across the street so it made for a wonderful view stepping out of the hotel while I was there. The light and building are beautiful! Fabulous, doors and such light, such white grandeur! I like your shadow in the first picture – nice light play. I got oodles of door shots in DC and Charleston – been too sick to pull something together though – hopefully next week. A wedding there would be the creme de la creme. Love how the light reflects on that first shot Norm. Beautiful! The entire building looks very imposing and important, in a good way. The word I want isn’t coming to mind right now, but it looks as if you could trust yourself to those inside. I know what you mean. And I would have loved to see the inside of this place as well. Beautiful doors and a nice big of history, Norm. I always have trouble getting good pictures of doors that are set back so far. Your photo is great. Nicely done. Thanks Dan, luckily for me the reflected early morning light made it rather easy. I like deeply inset doors like this one … and of course it’s arched. Yay! There’s a beautiful symmetry to this building. Nice one.